Full list of 2011 Leisure Tours now available on links on the Right …..Leisure Cycling Tours 2011 tours by month, or you can click on Agenda for all 2011 tours. 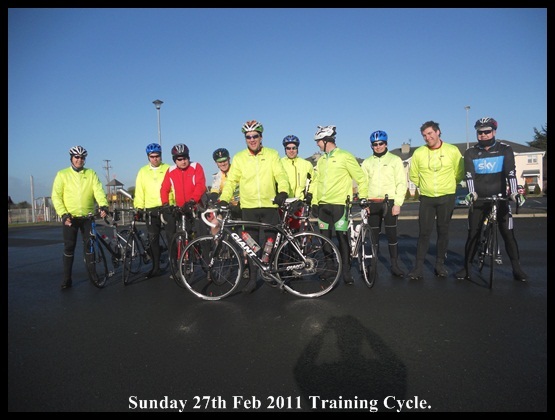 Sunday 27th training cycle was brought to you by the letter S, Sunny Sunny Sunshine, beautiful weather for cycling. Three distances completed by three groups, cyclists completed 45kms, 80kms and 125kms. 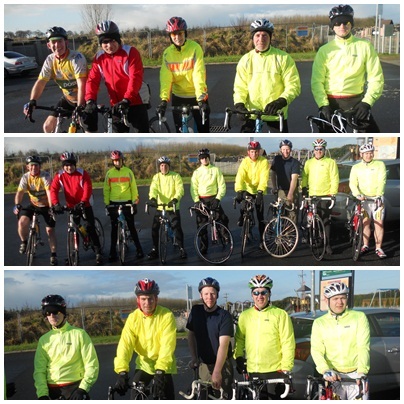 Out cycling were Patrick O’Donnell, Sean Burchill, Daithi Creedon, Stephen Finn, Brendan Houlihan, Owen Tobin, Paul McCarthy, Michael Gammell, Paul Gammell, Jerry Ryan, Shane Gubbins and Stephen O’Meara. Well done, it was a Wheely great cycle. NEW Saturday Cycling. Beginners / Improvers Saturday cycle is starting this Saturday 26th Feb, SWW Cycling club want to encourage new cyclists to start cycling. This cycle will be for one hour only, low miles and a controlled easy cycle to help encourage you start cycling and slowly build your fitness and then in time progress to the Sunday cycle. All you need to do is turn up Saturday morning at 9.30am at the Castle Car Park Kilmallock. Two club cyclists will cycle with the group and remember your pace will be our pace to ensure you enjoy starting cycling. So come on guys and gals start cycling Saturdays with SWW. All you need is a bike, a helmet and enthusiasm. Contact Owen 0872229051 or Sean 0871466524 Beginner cyclists welcome, Ladies and Gents of all cycling abilities are very welcome to our new cycling club. Meet at Castle Car Park Kilmallock next to Kilmallock Cycles. Congratulations Southside Wheely Wheelers have 45 now 46 Cycling Members in our new cycling club and registered with Cycling Ireland. Determined cyclists cycled as one group to Elton, Knocklong, Ballylanders, Mitchelstown, Kilfinnane and home, sharing the work at the front of the bunch to beat the elements. The cycle from Mitchelstown was enjoyable with the gale force wind at our backs to help us climb the hills on our way home. Out Sunday cycling were Liam Carroll, Jerry Ryan, Shane O’Brien, Sean Hourigan, Patrick O’Donnell, Sean Burchill, Stephen Finn, Owen Tobin, Paul Finn, Stephen O’Meara, Michael Gammell and Paul Gammell. . Three of our club members Paul Ahern, Daithi Creedon and Liam Kennedy, took part in Sundays Limerick Duathlon. For Paul and Daithi it was their first event and competed well, Liam will be representing Ireland in the Triathlon Olympics later this year. Well done. Wednesday Night Light Cycle: Charge of the Light Brigade, Yes, Lights were charging through the streets of Kilmallock this evening, it was night cycling at its best, Southside Wheely Wheelers Wednesday Night Light Cycle at 7pm. Flashing Lights and Hi-Viz vests were the order of the night as the bunch of SWW cyclists cycled through the darkness cheered on by local power walkers in pursuit of total fitness. Out cycling were Janette Murphy, Ber Gammell, Leslie-Anne Radcliff, Michelle Gammell, Gerard Finn, Jerry Herbert, Sean Burchill, Owen Tobin, Tadhg Murphy, Paul Gammell, Jerry Ryan, Shane Gubbins, Liam Carroll, Mike Murphy. Well Done Night Riders. The Hoff would be proud of ye all…. Congratulations to Owen Tobin and Brian Hannon who have achieved a Cycling Ireland coaching qualification to implement the SUBWAY® Sprocket Rocket Cycling Skills Programme for underage cycling skills planned by Southside Wheely Wheelers in the near future. Well done Owen and Brian. Photos on our club facebook page. Sunday 13th Feb Training over 4 Mountains Challenge. 18 Club cyclists out cycling were Daithi Creedon, Gerard Finn, Owen Tobin, Michelle Gammell, Ber Gammell, Sean Burchill, Paul Finn, Tadhg Murphy, Paul Gammell, Paul Ahern, Jerry Ryan, Liam Kennedy, Stephen Finn, Brendan Houlihan, Stephen O’Meara, Sean Hourigan, Jerry Herbert and Shane O’Brien. Well done. Well done to Gerard Finn, Sean Burchill, Daithi Creedon, Stephen Finn, Brendan Houlihan, Owen Tobin, Shane O’Brien, Michael Gammell, Tadhg Murphy, Paul Gammell, Jerry Ryan and Liam Carroll for attending training in such poor weather conditions. Southside Wheely Wheelers had a Wheely windy cycle today Sunday 6th Feb 2011. Southside Wheely Wheelers. First group of Southside Wheely Wheelers club cyclists met at 8.30am and cycled for one hour before meeting the main group of club cyclists at 9.30am on Sunday morning 30th January. Fair play to all enthusiastic club cyclists who turned up at the Castle car park Kilmallock on such a cold frosty morning. When the first group met the second group at 9.30am, the morning was so cold that their drinking bottles were like a slush puppy full of ice, now that’s cold. 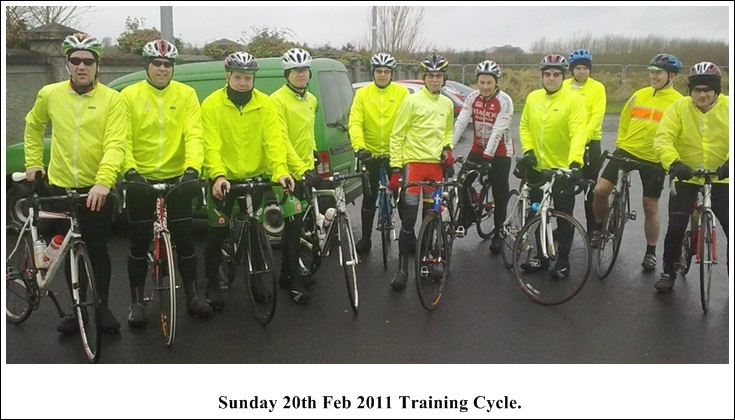 Club photo was taken before cyclists cycled off in to the cold morning air. Roads were dry and perfectly safe for cycling. Cyclists completed 100kms, 75kms and 50kms as all cyclists were catered for with a distance and cycling pace to suit all cycling abilities. 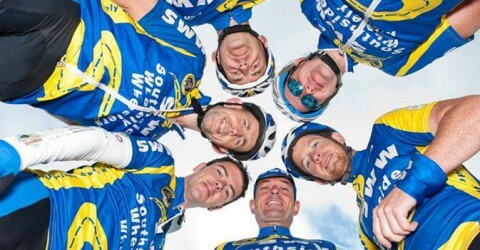 The following cyclists who enjoyed a wheely enjoyable Sunday cycle were Gerard Finn, Jerry Herbert, Mike Murphy, Jerry Ryan, John Fitzgerald, Michael Gammell, Stephen Finn, Ber Gammell, Michelle Gammell, Brendan Houlihan, Shane O’Brien, Patrick O’Donnell, Owen Tobin, Daithi Creedon, Tadhg Murphy, Paul Finn, Paul Gammell. Wednesday Night Cycle was very enjoyable on a cold but dry evening. Armed with Hi-Viz jackets, high beam front lights, flashing rear lights on the back of their bicycles, flashing lights on helmets the cyclists wheely enjoyed an hour and a half of night cycling. It is great to get out on the bike mid week to keep fit. Out night cycling were Paul Ahern, Adrian Gammell, Brendan Houlihan, Jerry Herbert, Sean Burchill, Daithi Creedon, Phyllis Richardson, Ber Gammell, Michelle Gammell, Jerry Ryan, Paul Gammell.